Switching Palettes… From the Z-Palette to the MAC Pro Large Empty Palette. Which is better? 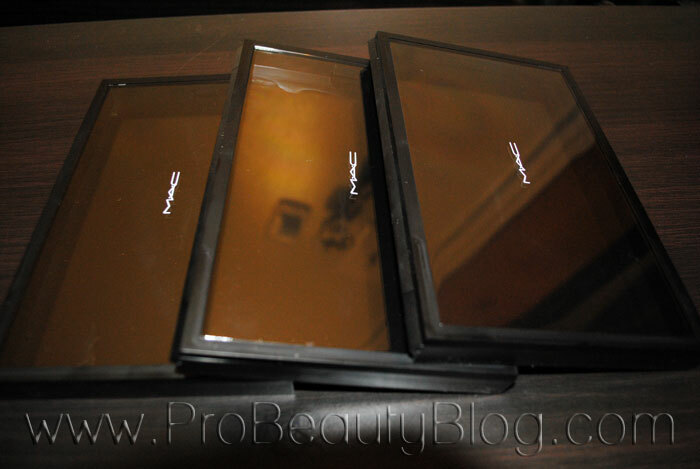 Browse: Home » Switching Palettes… From the Z-Palette to the MAC Pro Large Empty Palette. Which is better? One of my favorite makeup artist/painter friends in Miami, Yuzly [click here], was raving about her new MAC empty palettes on Facebook one day, and decided to pick some up for me since she loved them so much! I figured now was a better time than any to give them a go! Let’s see how they compare to my beloved Z-Palettes! So out of frustration, I just left and decided to move along with life. That is when Yuzly sent me the MAC palettes to try. Let’s take a look at the damage to my beloved Z-Palette’s first. I was devastated, folks. Like, drinking whisky and listening to country music with the lights off devastated. I really love the Z-Palette. Look at how much it can hold! So, as you can see, the MAC palettes don’t hold quite as much product as the Z-Palettes, but they are much more sturdy and modern-looking. 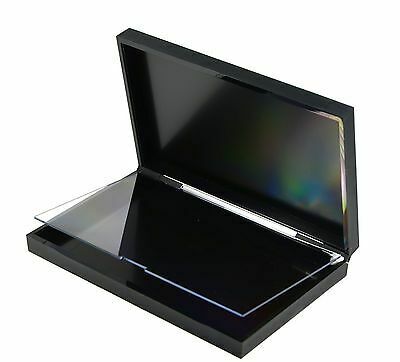 I love how the case is super light (unlike the Z-Palette), but still extremely sturdy, as it is made from plastic instead of pressed cardboard. I actually was not too upset about the slightly smaller size of the MAC palette because I don’t use colorful eyeshadows much. Taking a few out of the kit is a good thing, so that wasn’t even really an issue in the end. I kind of like both, but for different reasons. If I had to pick a favorite, I would go for the Z-Palette. Although it’s not as sturdy, it is  larger,  flatter, and  the magnet is stronger. Although the size hasn’t been much of a bother, the height of the MAC palette has been. Because the bottom of the MAC palette has a weaker magnet than the Z-Palette, the shadows and blushes slide around and even come completely disconnected from the base of the palette. One day I opened my makeup case, and found my eyeshadows having a house party in my MAC palette! They had been tumbling around in there like dice in a Yahtzee cup. I was so upset! This was a deal-breaker for me. Right now, I’m still in the MAC empty palettes, but I definitely plan to re-purchase the Z-Palettes. I only wish that they would consider using a stronger material for the plastic portion of lid. The MAC one looks nicer, but the weak magnet and large height make it unpractical for people who have to travel with their kit a lot. You would truly need to use the dividers that MAC sells to go in them for your makeup to be secure (which kind of defeats the purpose on an EMPTY palette — as the dividers only fit MAC eyeshadows and blushes). Translation: No Bueneo MAC! If you would like to purchase the Z-Palette, click [HERE]. 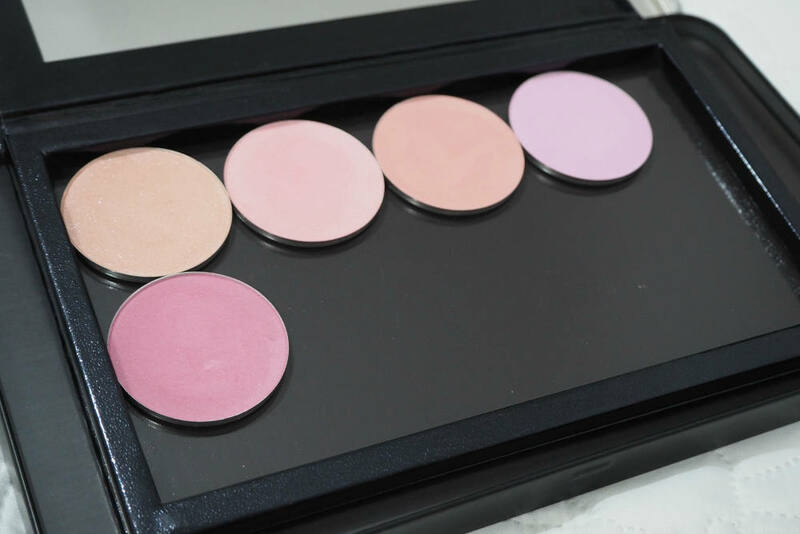 If you would like to purchase the MAC Pro Empty Palette, click [HERE].